Happy Saturday! I am here with a new Wee Memories Scrappy Saturday challenge! This week our challenge is sponsored by the great stamp company Unity! Please ignore the shadows, it was very sunny and I had to take the photo quick! I embosed the zebra background stamp by MSS in different colored powders onto chocolate cardstock. I love how it stands out! So fun! Than I die cut the dress form. Stamped the background in chocolate on white added a doily some ribbon and a resin flower! Such a fun girly card! It's a long weekend here and we've had a great start! Last night Ariel and I went with friends to Ballet in the Park! Here in Winnipeg we have a world renown ballet company! They put on ballet in the park for free and it was sooo good! We went early and had great seats. The girls played in the nature playground before. After the ballet we enjoyed the duck pond and than the flower gardens. Ariel loves the flower gardens! And after that we went for gelati (Italian ice cream a bit different) What a fun night! Today we went with 3 other families to a pool we had never been to before. We didn't know how great it is! And we thought that it was so far from our house when it was only 20 minutes. The pool had the greatest splash pad I've ever seen and the pool had beach entry (gradual) water slides and everything! I love the beach but I prefer this pool! All the kids had such a blast! Ariel wanted to go down the waterslide for the first time but they required kids to swim a double lap prior which she did (I was so proud!) It was so nice to go with friends! So fun but now I am soooo tired. The kids will go to bed early and I would love to craft but I think I am waayyy to tuckered out! I have two cute stories to share with you. Last night at the flower garden we saw a fenced off area and went to see it. There was a sign and picture sharing about the loss of a small cottage due to a fire. We read it to the girls and they asked a lot of questions. Later on the way home my friend and I overheard a sweet conversation. Ariel said to her friend Celeste "Are you keeping the water in your eyes too?" HUH? So I turned around to Ariel and Celeste and asked why were they doing that and they said they were sad, we asked why and they said "Because there was a fire at that cottage!' So sweet! Today at the pool when Carter found his friend Bella (who is almost the same age as him) they both started to jump up and down in excitement seeing each other! It was so cute! Than they played together non stop all day! Bella is busy just like Carter so they are such a good match! I really hope you join us for this challenge, it runs for two weeks until Friday August 12th 11:59 pst! I can't wait to see what colors you play with! Please make sure to check the Wee Memories Blog for more details and to see the always inspiring design team creations! Guest Designer at Market Street Stamps again today! Hello! I hope your having a wonderful Tuesday! We are loving summer over here. The weather is just comfortably hot but not sweltering hot like last week! It's supposed to rain tonight which is needed because my grass is hardly green even with our watering! Hopefully the weather forecast is right for tomorrow as we have plans for the beach! I started by stamping the backround from Life of the Party Birthday by Hero Arts in various colorful inks. Than I stamped and colored the ice cream and cotton candy images and cut them out. Added some buttons and a resin flower and some felt ric rac. I chose the colors for this card by the ric rac, what can I say? I really wanted to use it! :> Love this fun card! I wanted to share with you some fun photos of us from our fun day at the kids amusement park. It's the same place my parents took us as kids, and I remember loving it so! My parents were so good to us when we were kids (still are!) and took us everywhere. My mom wanted to take my kids there too. It was nice to be able to go during the week when it's not as busy and have another adult there! The kids loved it! And so did I! I really enjoy spending time with my kids and doing fun things! :> I apologize for not being around here very much. I got offered a short pre election job here doing data entry that pays extremely well. Between that and trying to have fun in the summer and a busy hubby working I've been quite tired. But making some extra money for my upcoming trip in September to Scrapfest is well worth it! :> Trying to not work as much as they would want though, I want to be with my kids! Until tomorrow when I am back with a special post! Hello! I am back from the cabin! We had a fabulous time! It was so nice to relax and spend time as a family! It was also a heat wave with what must have been the hottest day in a few years, 45 celius with humidity, around 118 F! I thought that laying in the hammock and reading a book was the best but I discovered that laying in a hammock with Ariel is even better, I loved our conversations! Today I have a goodbye card to share with you. I came home from the cabin for the day on Tuesday since we had errands to do and found a package from Jennifer McGuire! I had one some HA stamps from her a bit ago! Later I called into my work to see if I have any shifts next week (I don't lol) and my manager who hired me told me that she is leaving! Actually a lot of people have been leaving and a lot of them are the mom's like me who stay at home with there kids and work there in the evenings. There kids are in school now, it's sad to lose them though! I've mentioned before that they should let me know so I could make goodbye cards (since I hardly work I often don't even realize that someone is leaving until they are gone!) And my managers have told me that they always think they should ask me but it's last minute usually! Since I knew and since it was my manager I really wanted to make her a card, and her last day was the next so I whipped this card up with a stamp that Jennifer sent me! Oh I wanted to mention how well Carter is doing with potty training! He has been wearing underwear during the day for 3 weeks now! > He hardly has any accidents and in public always tells me when he has to go and goes anywhere! I am so proud of him! And so delighted how easy he was to train! He is even doing good at night waking up with a dry diaper almost always! I think I will continue to give him a diaper for a while though just in case! This went so much better than I had thought it would! Well I better run and make dinner. I don't usually mind making dinner but today with hubby being out showing houses and just me and the kids I am not in the mood for it! Sadly I have no quick fixes so I gotta make a real dinner! Oh well it is healthier right? Happy Saturday! Here we are at a weekend in July! Can it get any better? 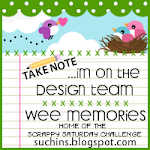 I am here with a new Scrappy Saturday Wee Memories Challenge! This week our sponsor is Stamps of Life! Our challenge this week is CAS, Clean and Simple! This worked perfectly for me as I had this card idea in my head to make for my hubby's cousin's baby shower! This card was a huge hit at the shower! My hubby didn't think it actually looked like a mustache and that no one would get it! LOL I made the mustache myself! I folded a piece of cardstock in half and than hand drew half the mustache on it and cut it out (that way it was the same on both sides) I than used that as my mask and traced along on a piece of brown cardstock. I stamped the background by HA life of the party dots in robin's egg blue pigment ink and the sentiment is a HA stamp that I have had for a long time. I have to share with you what happened yesterday. I was sitting on the couch cuddling Carter after his nap. He loves to cuddle after his nap and if we don't with him he is sooo whiny! Oh well I love it! We were watching a realty show and the couple on the show were looking at houses and were finally in a good house and I think I made a sound like ohhh and the next thing I know Carter is chanting something. I had to listen and think about it and I realized that he was saying "BUY IT! BUY IT!!!" over and over! LOL! So funny, he really is a real estate agent's son!!!! I hope that you will join us for this challenge it runs for two weeks until July 29th 11:59 pst! Please check out the Wee Memories Blog for more details! And to check out all of my fellow design team inspiration! 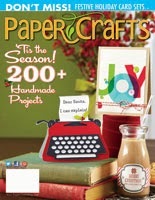 Guest Designer at Market Street Stamps!!! I would love it if you would go on over to the Market Street Stamps blog and check out my card and leave me a message there!!!! Click HERE to go! Hello Happy Monday! I hope you had a great weekend! I had a nice relaxing one. I may have over done it last week. I was one tired mommy this weekend. I think I had too much fun in the sun! We enjoyed strawberry picking on Tuesday (which were gone by friday!) a splash pool Wednesday, a friends pool Thursday and Chad's baseball game that night. Friday I planned to relax but my house was in desperate need of attention! It's hard to be balanced when summer is so short and the weather was so hot and beautiful! I don't make square cards often but I had to make one for this card. 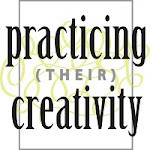 When I saw the circle I immediately thought of using a doily. Still love those! I used the butterfly kisses stamp set by the Craft's Meow. I stamped the background with the butterfly using antique linen, vintage photo and angel pink by Memento onto some vintage cream cardstock by PTI. I stamped and embossed the fairy with party pink powder by Recollections and adhered her with foam squares. After putting all the layers together, I felt like something was missing so I stamped more butterflies and cut them out and added some pearls! I am quite happy with this card! I am also entering this card into the Stamp It! 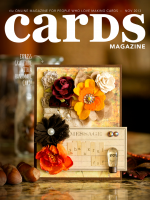 Cards Week Challenge in the Moxie Fab World! I so love stamping! Well I am off to make dinner and work on more laundry. I am sure I am not the only one who feels like summer is full of washing towels! :> I will be back on Wednesday with a fun post!!! Hello! I hope that you are having a beautiful summer's day! We sure are! It's been an amazing start to summer with hot hot weather! I wanted to pop in and share another card set, this time one that I made for Ariel's teacher! As I mentioned when I shared my first of the teacher's card sets, I didn't have much time and was working at a fast pace! I usually find myself thinking and thinking about card sets until I have it all perfected in my head! With this one I had a rough idea and I told myself that I don't have time to think I just have to do! That said I am still pretty happy with this set! Yesterday I took the kids strawberry picking! My mom came along too. We were both able to get 2 baskets (like a 4 litre pail) before Carter had enough! :> I love where we go, it's an hour drive and yes there is a few places closer but this place has a free animal petting farm, a fun maze and a very rustic playground! I think this was our fourth year going there! We all had such a blast! Even Carter who is scared of dogs loved the animals! He was so cute petting and chasing some! He kept jumping for joy! I also taped them and Chad loved seeing it! I hadn't noticed he was jumping and running until we watched the video! Ariel loved it too, she loves animals! I love Carter's face! He's on top of the maze! Looking at these photo's make me want to go back! :> My kids have been loving the strawberries more than any other year! I had been planning on making jam but I don't think there will be any left to make it! And that's okay, the freshly picked berries are soo good! I was so looking forward to making my strawberry banana muffins with freshly picked berries and I did today. They are soo good BUT I think they are also really good with store bought and really that's good because I can't always get fresh! July Wee Memories Scrappy Saturday Blog hop! Hello! It's the first Saturday in July which means I am here with the Wee Memories Scrappy Saturday Blog Hop! You should have arrived here from our July Guest Designer Lisa! If at any time you get lost or if you would like to start at the beginning you can go to Jenny's Wee Memories blog here. This two week challenge is sponsored by There She Goes Stamps! I had fun looking through there cute stamps! Our challenge is perfect for the season, it's Summertime! I am a true lover of summer. I love the heat, the sun, spending time outdoors, the yummy yummy summer food! When I was thinking about what I should make I couldn't help but want to play with this stamp set Life of the Party by Hero Arts. I am sad to admit that I've had it for a bit but hadn't reallyplayed with it yet! I love cotton candy and so love this stamp! Cotton candy reminds me of various summer fun, mostly an amusement park! It's funny though how being a parent changes you, now when I see it sure I want it but I do not want my kids eating it! I started with Hawaiian shores cardtock by PTI and stamped the Life of the Party Dots cling background stamp with frost white ink by Colorbox. I stamped the tickets, the candies and the cute cotton candy on cardstock. I decided to put the cotton candy on a stick (coffee stir stick) since I love making treats on sticks! How could I resist? I tied some twine by the Twinery. I mimicked the tickets by punching the corners with a circle punch! I am also entering this card into the new Hero Arts contest which is Summertime (also!) and party! So fun how that worked out! Looking at my kids and there tans can you tell we have been enjoying summer? On Thursday we spent a very hot day in a friends pool! Later on we went to the fireworks! Ariel and Carter loved them! I really enjoyed listening to Carter tell us all about them, doing hand gestures and everything! I hope that you will join us for this challenge! The next stop along the hop is Giovanna! Hope you have a great weekend, and to all my American friends have a happy 4th!!! !